For an outstanding selection of new and Certified Pre-Owned BMW vehicles in Greater Atlanta, turn to BMW of South Atlanta. Our Union City, GA BMW dealership is here to meet all of your automotive needs, and we start by offering an expansive inventory, experienced BMW service team and flexible BMW finance staff. Whether you're looking to purchase or lease your next BMW, need maintenance for the one you already own or simply want to explore your financial options, trust BMW of South Atlanta to serve you well. BMW of South Atlanta is a part of the Sons Auto Group, a business owned by a family that's provided top-notch automotive services since 1919. Our BMW dealership has a storied history, as it was originally owned by Atlanta Braves great Hank Aaron - that's why our lot is shaped like a baseball diamond! For a unique, stress-free BMW purchasing or servicing experience, come see what BMW of South Atlanta has to offer today. Looking for even more reasons to choose BMW of South Atlanta? 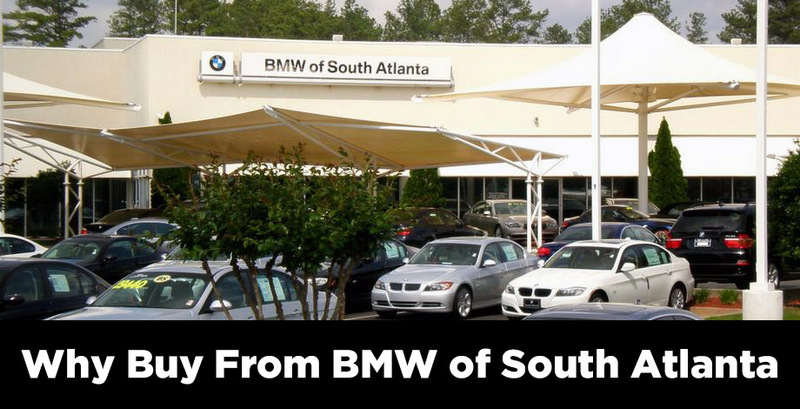 BMW of South Atlanta is the only family-owned and -operated BMW franchise in Greater Atlanta. If you're looking for a friendly atmosphere and a history of trustworthiness, our dealership is the one for you. Our Park'NTicket program allows you to drop your BMW off for service while you leave town. When you arrive back at Hartsfield-Jackson Airport, your BMW will be washed, serviced and waiting for you! Giving back to the community is a big part of what we do. We participate in local Driver's Ed programs and offer coupons to every Driver's Ed graduate! We offer extended weekday service hours and early Saturday hours in order to best meet your needs. You don't have to disrupt your daily routine to get high-quality BMW service. Our relaxing customer lounge offers amenities such as complimentary coffee and doughnuts. We want you to feel comfortable and at home when you visit us.